Dean Mackin has been working in and around radio for almost 22 years. An I.T. 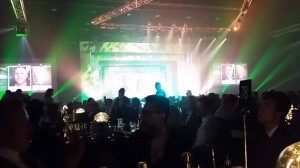 Specialist who owned and ran the largest and most successful online bulletin board service (500cc) in Australia (1985-1999) and who started one of the first internet companies in Australia (F1 Internet Services in 1994), he has done work for many radio stations over the years on their computers. Dean was also one of the first people in Australia to setup online radio STREAMING and to utilise wireless microwave internet as early as 1997. Almost a decade ago Australian radio legend and a name synonymous with 2SM (Ian MacRae) suggested that Dean should try some on-air work. Dean graduated from Ian MacRae’s Radio school in 2005 and had intended to approach a large commercial station or network to do a computer help program, but a fortuitous meeting with the boys from the ‘Robertson Brothers’ band put me in touch with former manager of the band “Girlfriend” (Noel MacDonald) who was a business partner at a country music radio station in Sydney called Cool Country 2KA. It was an awesome place to start for me and I got to learn from a couple of my favourite guys in radio, ex 2MMM’s John Bond and ex. 2WS drive announcer Cameron Syrett. Dean’s passion for country music found him on-air within a month of finishing radio school and afforded him many opportunities to talk to so many of his country music heroes over the years including Lee Kernaghan, The McClymonts, Doc Walker, Dean Brody, Darius Rucker, Toby Keith, Gretchen Wilson, Brooks and Dunn and so many other great musicians including ones he picked as not just top blokes (but stars of the future) Bob Corbett and Luke O’Shea. 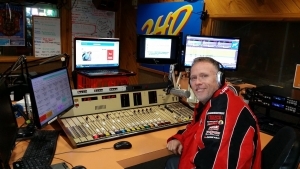 Nominated for several of the prestigious country music DJ of the year awards early on in his career spurred Dean on to get more actively involved in country music but his passion was ALWAYS to do TALK BACK RADIO! 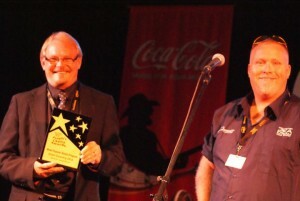 Dean’s worker (later on) as a producer would lead to further award nominations for Producer of the Year and his first year working alongside Carter Edwards saw Carter do a clean sweep of BOTH Australian Country Music DJ of the year awards in January of 2014. Dean was born in 1968 and so musically considers himself of THE EIGHTIES and radio has afforded him the opportunity to talk to many of his music Idols including Spandau Ballet’s Tony Hadley, Icehouse’s Iva Davies, Andrew Strong from The Commitments & John “Swanie” Swan from the Choirboys to name a few. It was years later that Australian country music singer / songwriter George Sich (who already has a close affiliation with 2SM and the Super Radio Network doing the jingles for 50 year radio veteran and legend Grant Goldman on his 2SM Breakfast Show) called Dean and suggested that he should approach the Super Radio Network in relation to some vacant mid-dawn spots that he felt he would be ideal for. It struck Dean as an awesome idea but never one to rush into something, Dean contacted fellow country music DJ and Super Radio Network Veteran Carter Edwards about doing just that. The two quickly became close friends and Dean decided rather than rush into things he should perhaps work around someone who had decades of experience. 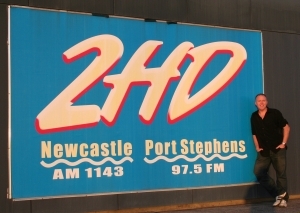 Dean was offered a job as Carter Edward’s producer at 2HD in Newcastle where he worked with Carter every weekend for well over a year learning the ropes from his friend and mentor. When Carter needed a replacement sometime later (while he performed on a Mediterranean Cruise with Beccy Cole) he asked Dean if he would be interested and then ran it by General Manager Guy Ashford who agreed to give Dean a tryout on Mid-Dawn under the tutelage of one Mr Gary Stewart for a couple of weeks. Gary went on weeks later to describe Dean as “a natural” to a caller who rang up asking what had become of him. It was decided shortly after that Dean was the ideal fit to fill in for Carter Edwards during the month of September 2014 especially due to Dean’s experience and love of Australian Country Music. The listeners responded extremely well to Dean on-air and many suggested that he be offered more on-air time down the track. Managment agreed and the rest is history and Dean is now a regular on the 2SM Super Radio Network with his own show every Saturday afternoon as well as filling in for the full-time announcers occasionally. 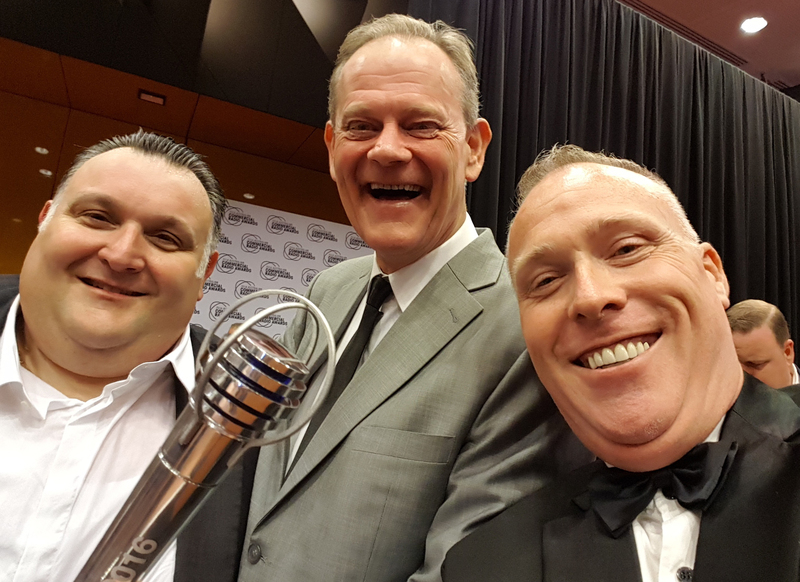 Less than 8 months after being given a permanent Saturday afternoon spot on the 2SM Super Radio Network, Dean was one of five finalists for the ACRA Award in the BEST TALK PRESENTER category which was a tremendous accolade so early on in his career. 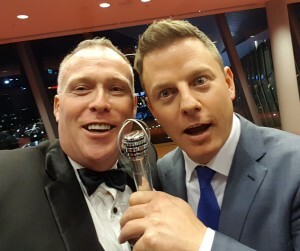 In 2016 Dean was again a finalist in the BEST TALK PRESENTER category as well as being a finalist in the BEST PRODUCER – TALK & CURRENT AFFAIRS for his work on the Carter Edwards program each weekend, where he has been producing for over 3 years now and continues to do as he so enjoys working with his great friend and mentor. Dean has a strong passion for talkback radio and pulls no punches. He feels very much at home at the Super Network and looks forward to his time on-air. Dean continues to work as Carter Edwards producer on the weekends and regards it not so much as work but as a great opportunity to hang out with a mate and talk to some great people every weekend.